No matter how careful you are with your laptop, there’s still a chance it may get lost or stolen. This may bring big trouble to you, not only because the cost of the laptop, but also the confidential material stored in the laptop that you don’t want them to be leaked. 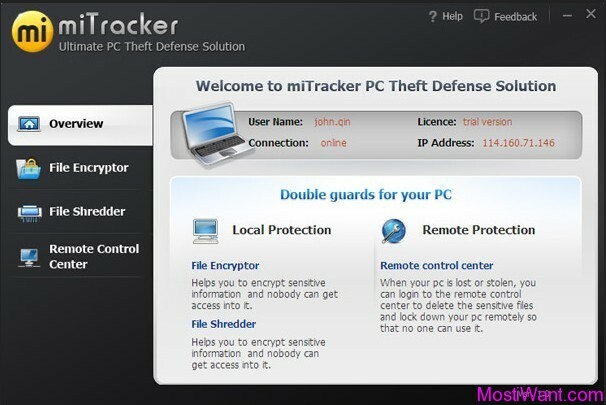 MiTracker is a unique and trusted laptop tracking software which can help you solve these concerns even when your PC is lost or stolen. Compared with other PC track software, miTracker has double safeguards to protect your laptop and data when it gets lost or stolen. First safeguard is its remote lockdown and remote deletion function. In case your PC is lost or stolen, it can track the location of the computer, block the computer remotely to prevent unauthorized log in and you can write a message and display it on your screen. Something like, “Oops, left my laptop behind. Please call me at 400-000-0000.” Your message appears, even if the screen is locked. In addition, its remote deletion can help you remotely wipe your any important files such as documents, videos, photos, etc so that nobody can leak your privacy. Second safeguard is its file encryption and file encryption fucntion. File encryption uses military standard AES encryption algorithm, nobody in the world can break up the files which are encrypted by miTracker. File shredder uses military-grade shredding algorithms and it can wipe the file permanently. MiTracker Laptop Anti Theft Software is normally priced at $29.95 per serial number / license key. 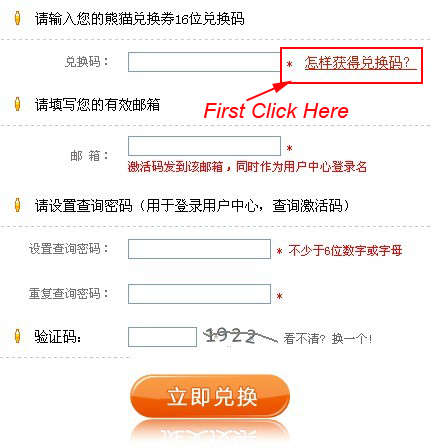 Now, in cooperation with Vitarsoft Co., Ltd. (developer of MiTracker Laptop Anti Theft Software and sponsor of this giveaway), we can offer 10 free serial license key to activate the Full Version of MiTracker Laptop Anti Theft Software. If you wish to share this post, to help spread the word among your friends, you may use the sharing widget placed at the end of this post. I would be very appreciate if you were to share this giveaway offer on any social networking site of you choice. At last, Thanks John from Vitarsoft Co., Ltd. for taking interest in to this blog and arranging the Giveaway for my readers. I would like to thank Most I Want for this giveaway. YES, PLEASE, PLEASE!!! I NEVER WIN ANYTHING!! PLEEEASE? I need to keep my laptop safe if it ever gets stolen; this is a great competitor to iOS’ safety features. I hope to win this!! I want to be considered for this giveaway please. Please include me in this giveaway.You are always providing amazing softwares. Outstanding giveaway! Thank you very much.